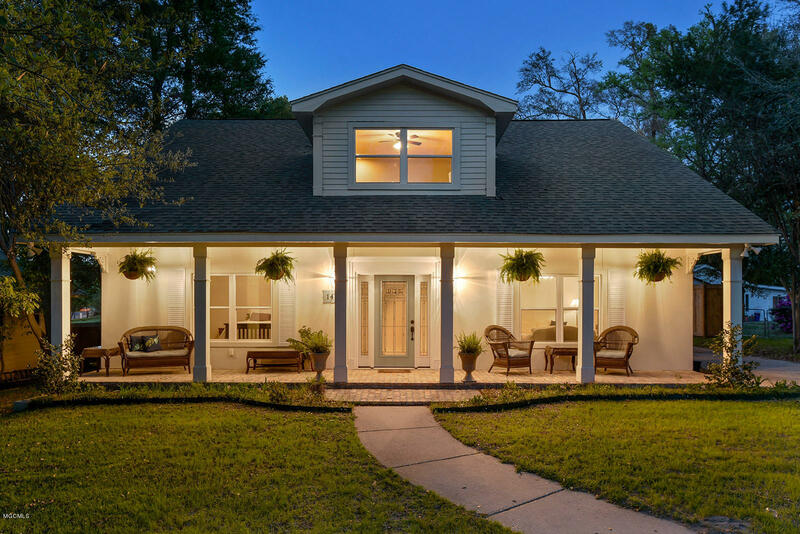 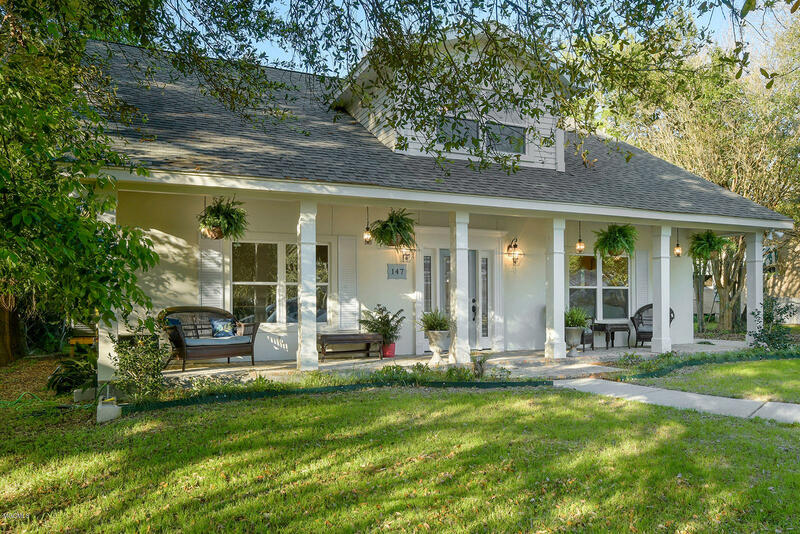 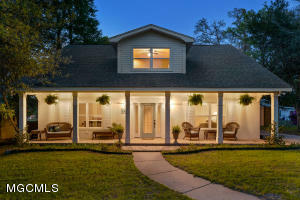 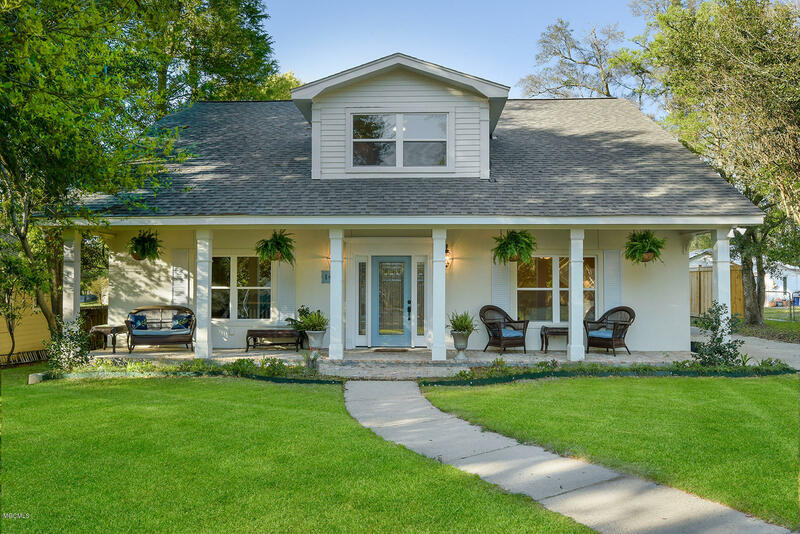 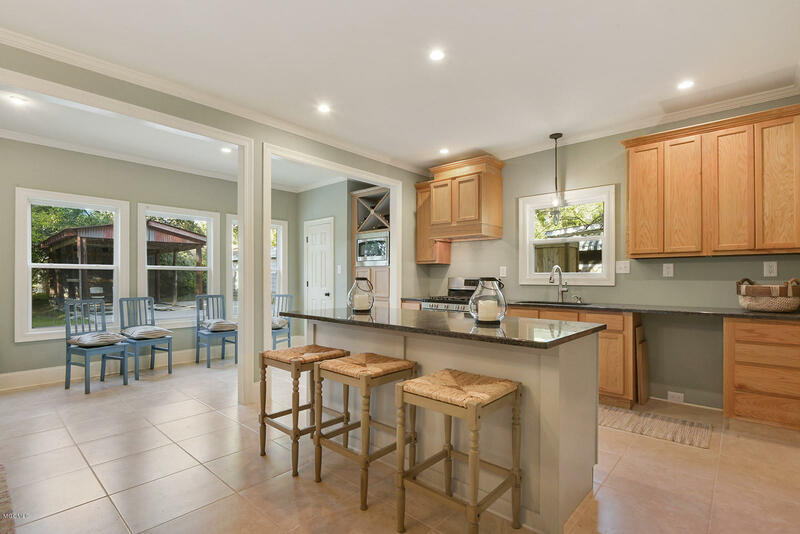 Elegant Southern Living style home nestled between massive Live Oaks. 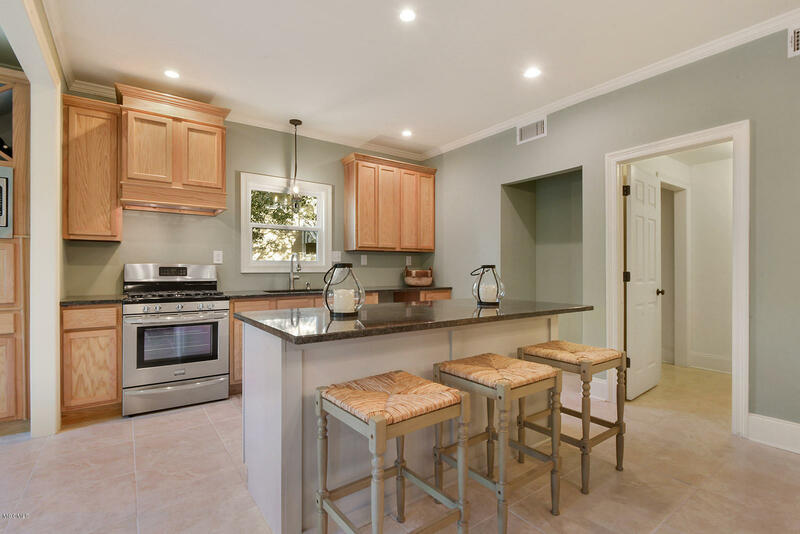 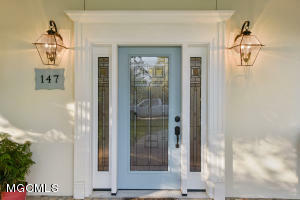 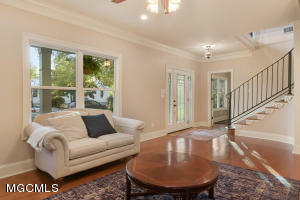 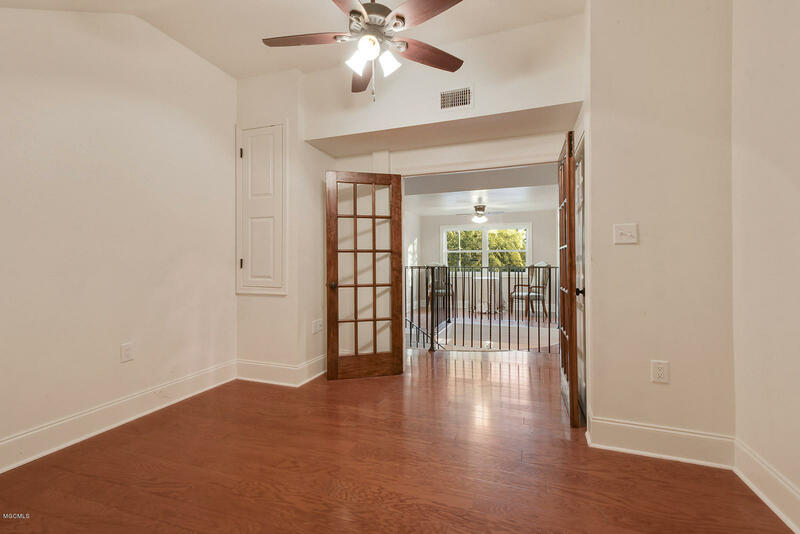 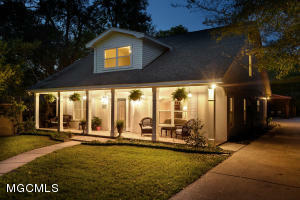 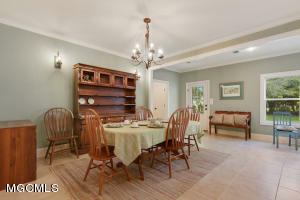 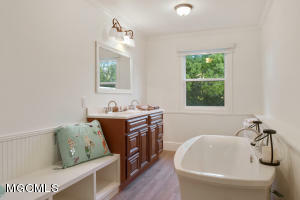 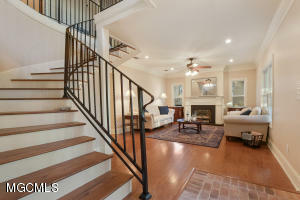 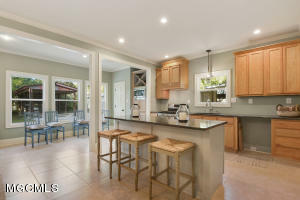 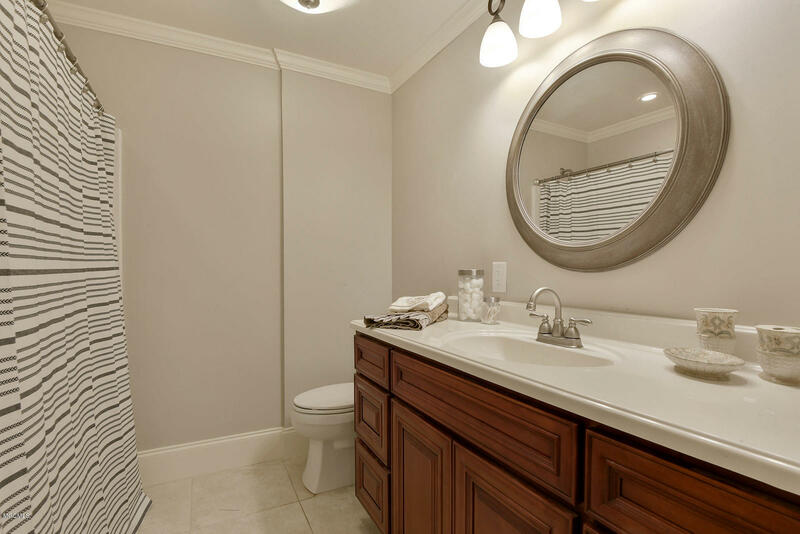 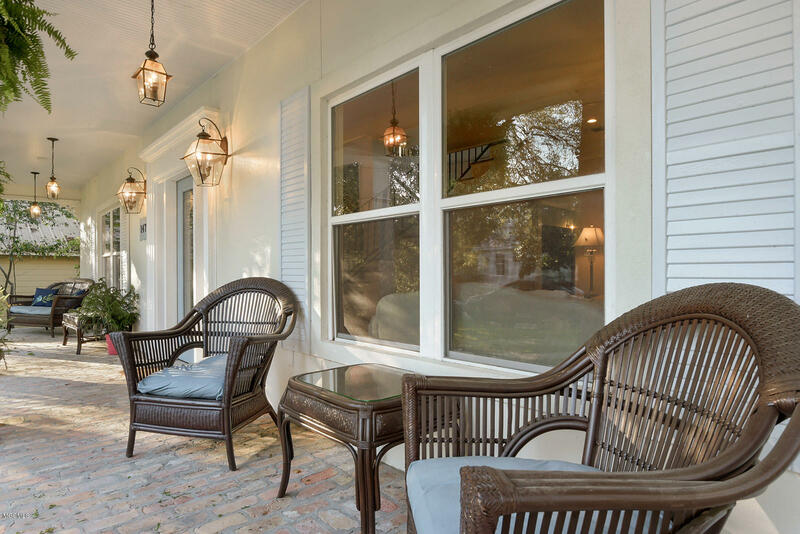 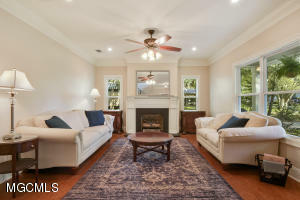 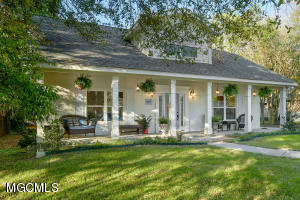 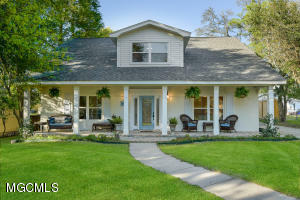 This home is located on one of the most desirable streets in Old Town Bay St. Louis. It features the greatest luxury of all-Space. 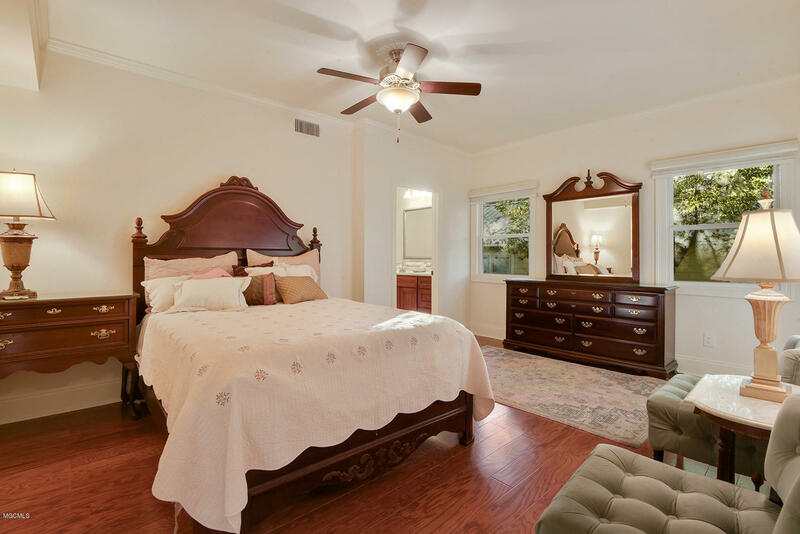 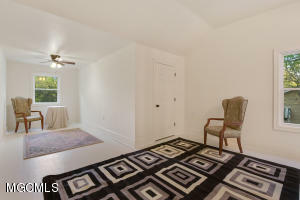 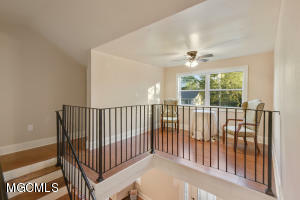 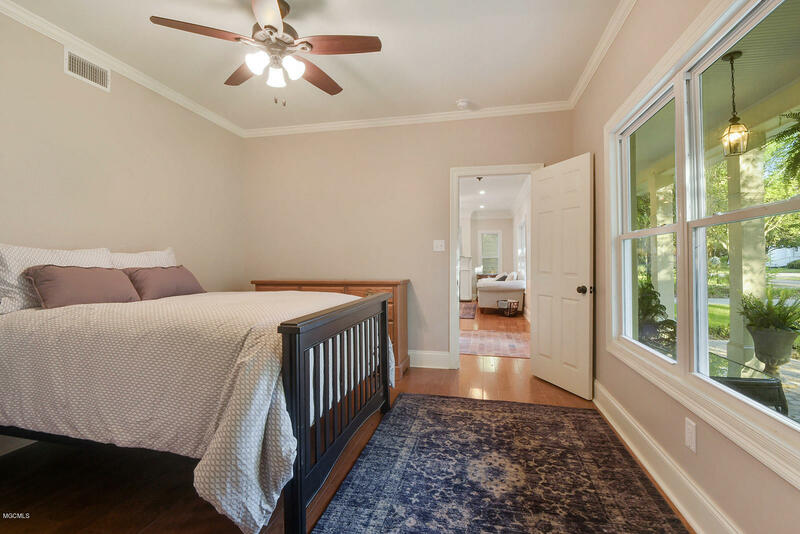 The Master Bedroom is located downstairs and there is an additional bedroom/office located on the first floor. 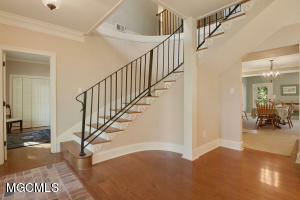 Upstairs there are two large bedrooms with vaulted ceilings. 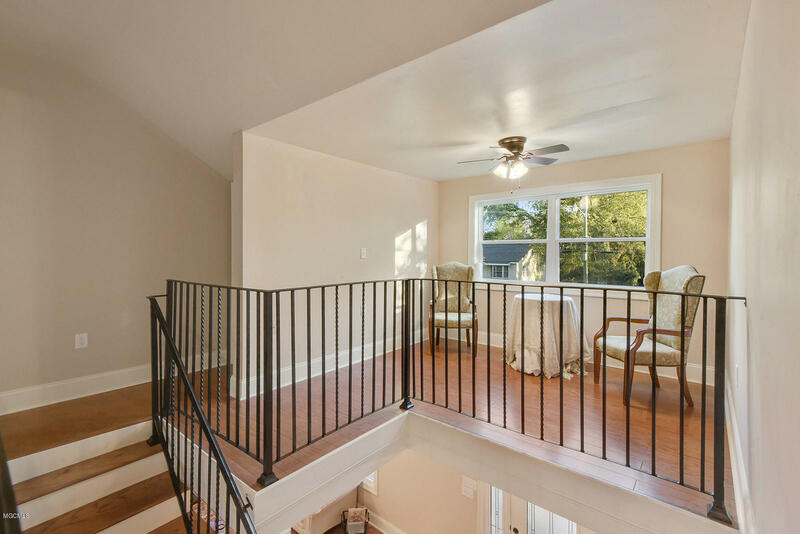 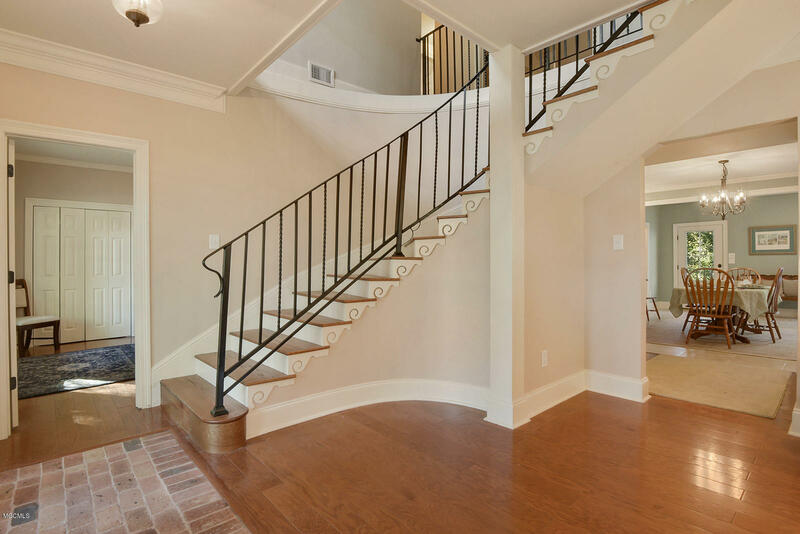 Of note is the custom designed stairway that was built by master builder Charles Oliver. The home has been totally updated by the Oliver's. 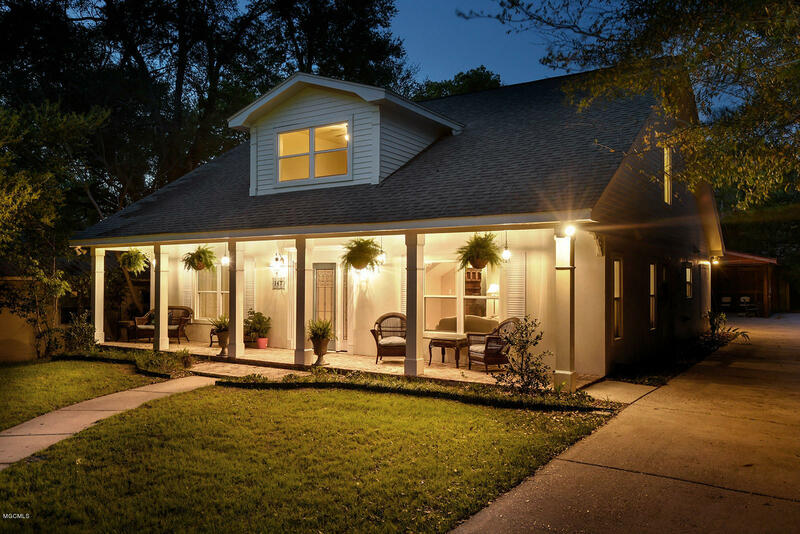 Special care was taken to add luxury features such as the the front gable which feature custom columns which match the porch columns. 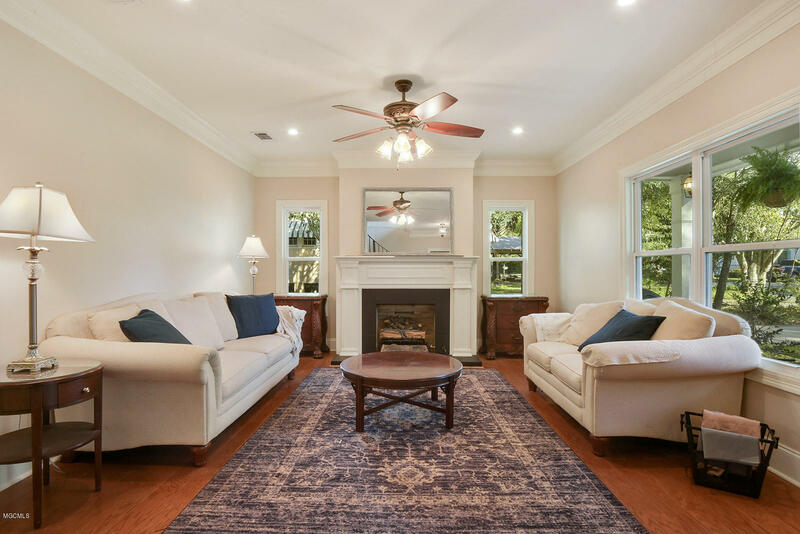 The fireplace mantel piece was custom built by a local master craftsman. 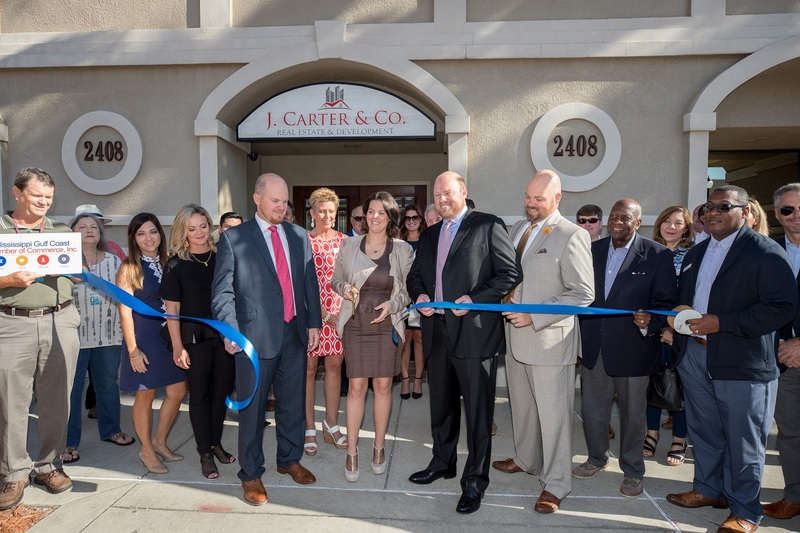 Every design detail has been taken care of for you.